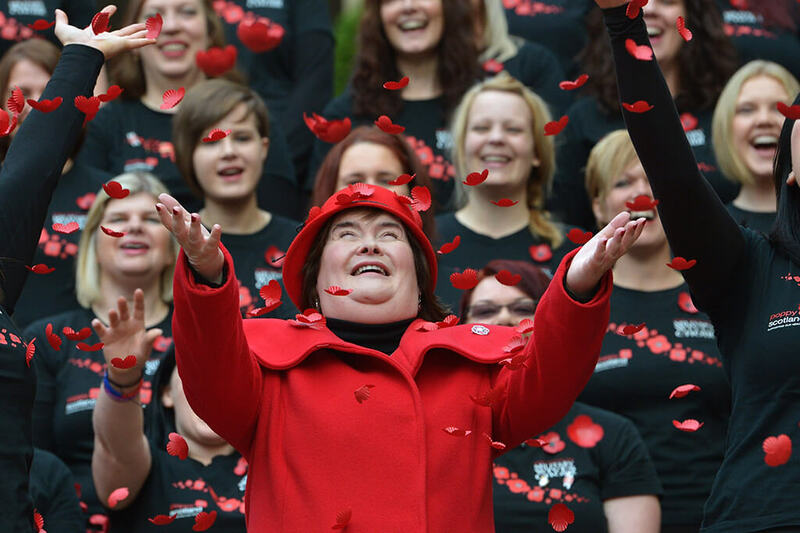 From the day she was born, British singer Susan Boyle’s life was anything but ordinary. As a child, she was bullied and told she had a learning disability. As she grew up, she realized that wasn’t the case. In fact, she had a high IQ and a natural talent for singing that she was itching to hone. It seemed as though the world was against her, causing road blocks on her path to fame and success. But Boyle persisted in chasing her dreams, and the incredible achievements she has to her name is awe-inspiring. 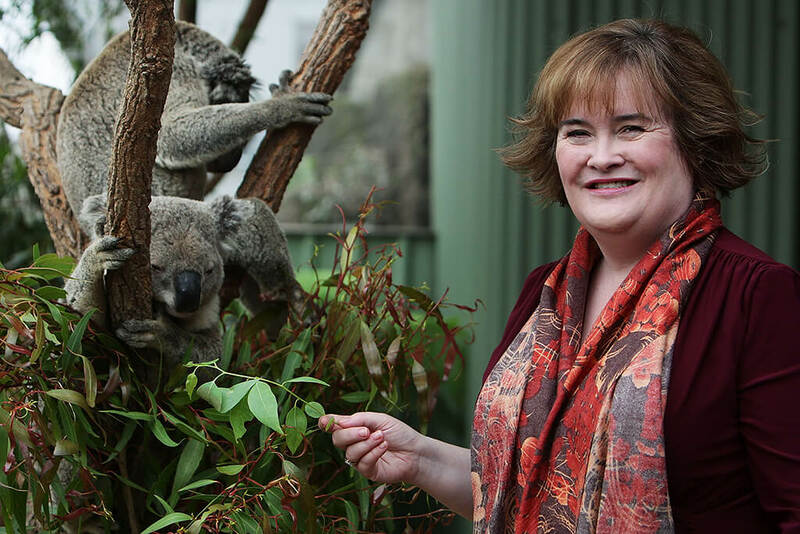 Here’s the story of Susan Boyle. 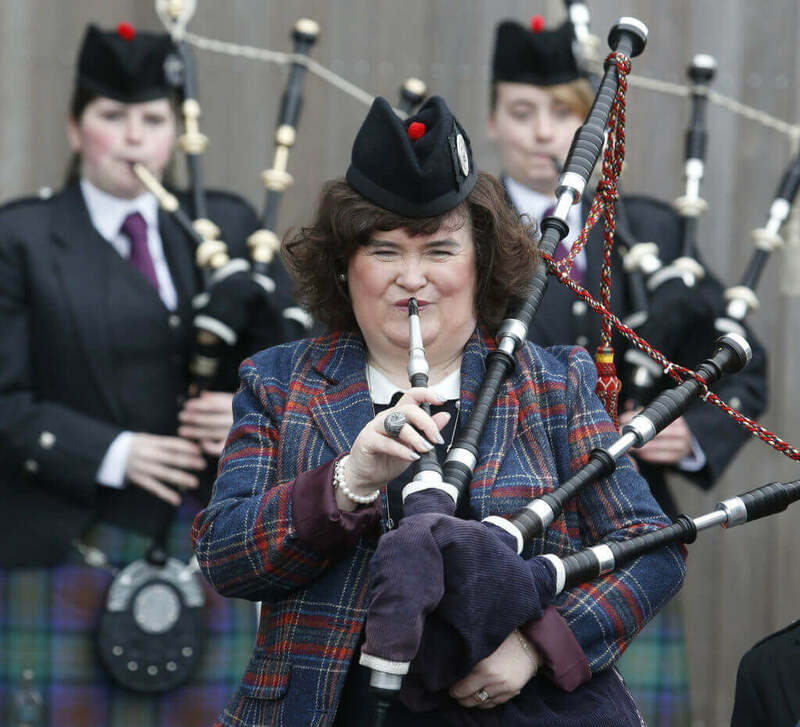 Born in Blackburn, West Lothian, Scotland, Susan Boyle was the youngest of five children. Her mother Bridget was 45 years old when she gave birth to her. Soon they noticed that there was something different about the way Boyle learned. Her family told her it was because she had been deprived of oxygen at birth. Boyle is one of the people who are on the high-functioning spectrum of Asperger’s. Her IQ is above average but she struggles with understanding how other people are feeling, as well as communicating her own emotions. Her social anxieties attributed to Asperger’s can create misunderstandings and challenges in her relationships. 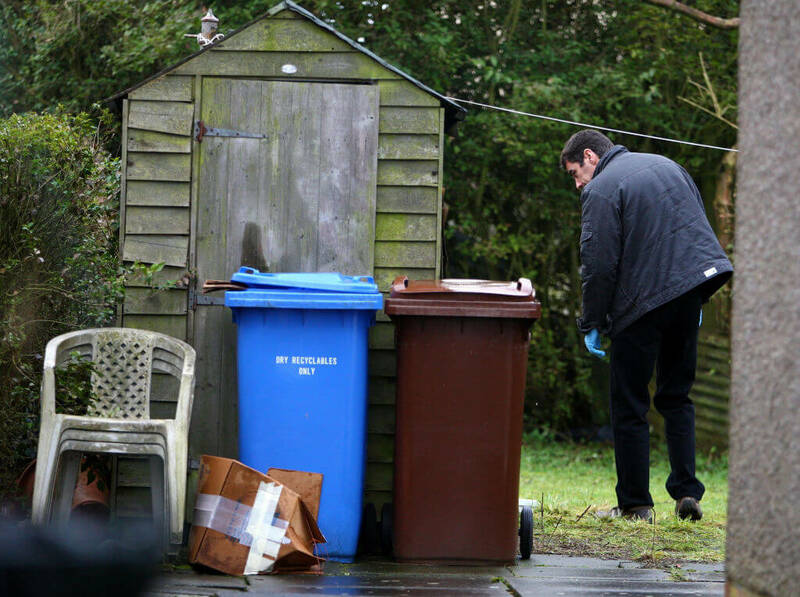 The Guardian reported that Boyle suffers from mood swings, severe depression and emotional outbursts, which aren’t uncommon for someone on the Asperger’s spectrum. Learning of her diagnosis, and being able to identify the symptoms is a relief she says. One emotional breakdown helped her end a feud with her brother. The youngest of five siblings, Boyle and her older brother Gerry had disagreements, which led to fighting, and then not talking at all. The two had cut each other out of their lives after Susan rose to fame, and rumors about their family hit the tabloids. Keep reading to find out what caused the feud in the first place. 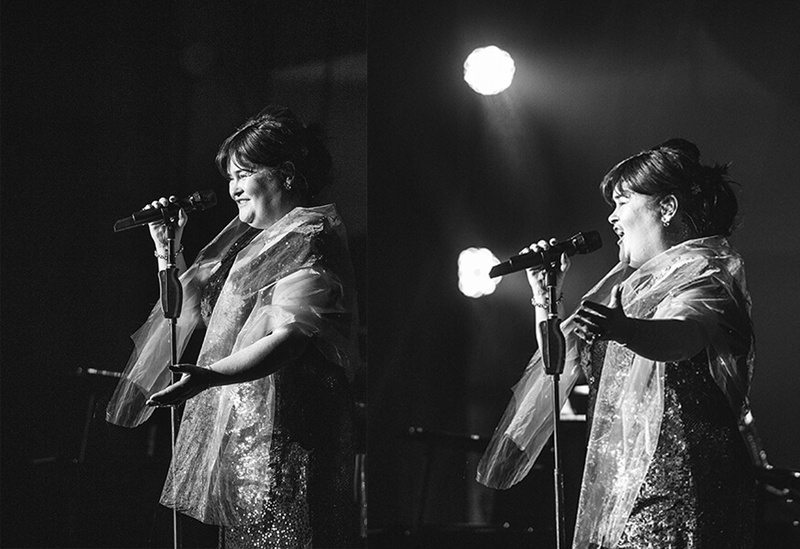 Boyle never officially told her parents that she wanted to become a singer for a living. Her father supported her singing but passed away in 1999. As her mother Bridget aged, Boyle stayed home as her caretaker. In 2007, Bridget passed away at the age of 91. While other people in her position would transition into a life of luxury, Boyle has remained humble and stuck to her roots. In fact, she still lives in the Scotland home she grew up in with her parents and siblings. Her wardrobe remains modest, and she’s perfectly satisfied with her simple life in the country, living with her cat named Pebbles. Boyle also prefers to keep her life on the private side and finds her hometown neighborhood to be a comfortable place for her. Growing up, Boyle was bullied as a child for being different. She knew that stepping into the spotlight as an adult also put her at risk for bullying, but decided to brave it anyway. In 2017, Boyle had to face her past when local teens followed her down the street, shouting at her and taunting her for her differences. Boyle admitted that it affected her. Boyle’s life hit the fast track after being discovered on Britain’s Got Talent. Her schedule was packed fully of tours, appearances and performances. Like many people with a busy schedule, Boyle’s health took a toll. 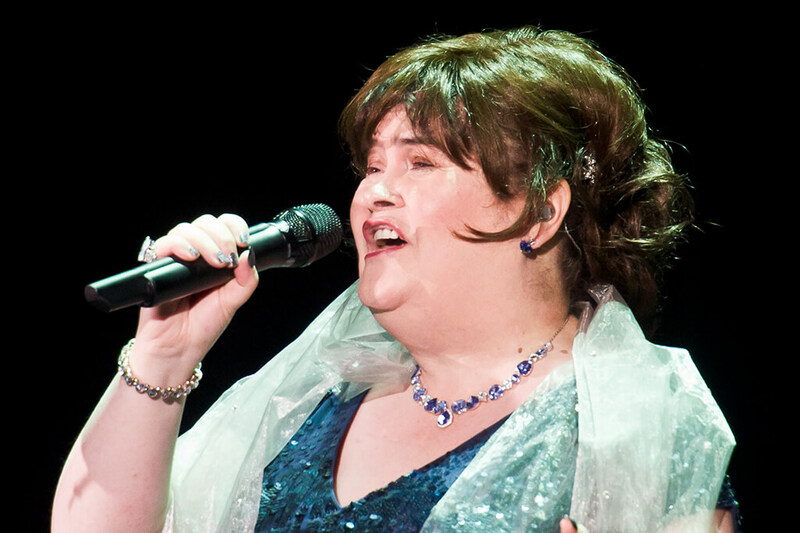 The singer was diagnosed with Type 2 diabetes. 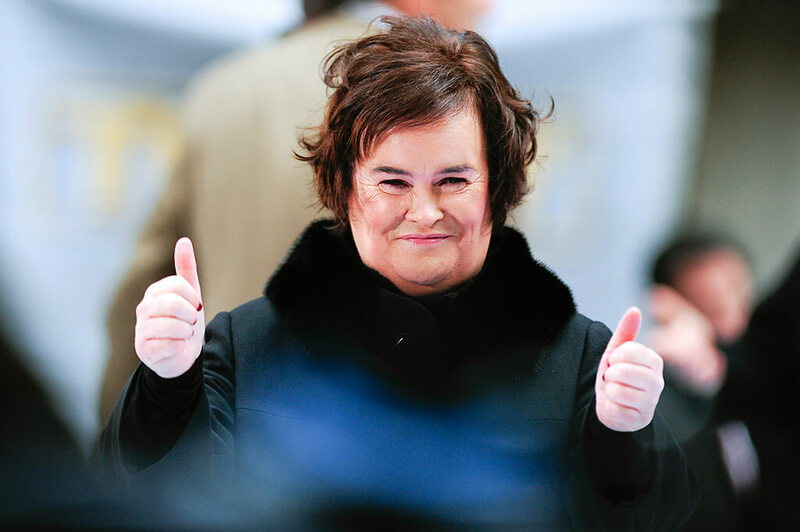 Susan Boyle shot to stardom, along with her net worth. In 2013, she was estimated to have a net worth of $27 million. Reportedly, that’s when her brother Gerry reached out and demanded that his younger sibling fork over money. Their other siblings saw their feud play out, as Susan refused to give Gerry the $60,000 he asked of her. When she didn’t relent, Gerry threatened to commit suicide if he wasn’t paid. He believed that since rumors about the family were going around in the media due to Susan’s fame, that she owed him. Keep reading to see how much she’s worth today! Susan felt that she was being bullied by her brother Gerry, but she worried that he would go through with his threats of suicide if she didn’t give it to him. So while on a trip to the U.S., she transferred the money to his account. In later interviews, Gerry admitted that he did get the money he asked from her, that he wanted it for a business he was starting. The family drama lasted for two years, without the two siblings speaking to each other. Finally, Boyle’s emotional breakdown at the airport in 2016 led to a resolution. Boyle has been open about how much she loves children. When she and her brother Gerry finally reconciled she was able to meet his grandson Alfie. “It was lovely,” Gerry said. “She couldn’t stop picking him up.” She also started talking about raising a child of her own and she’s considering adopting. 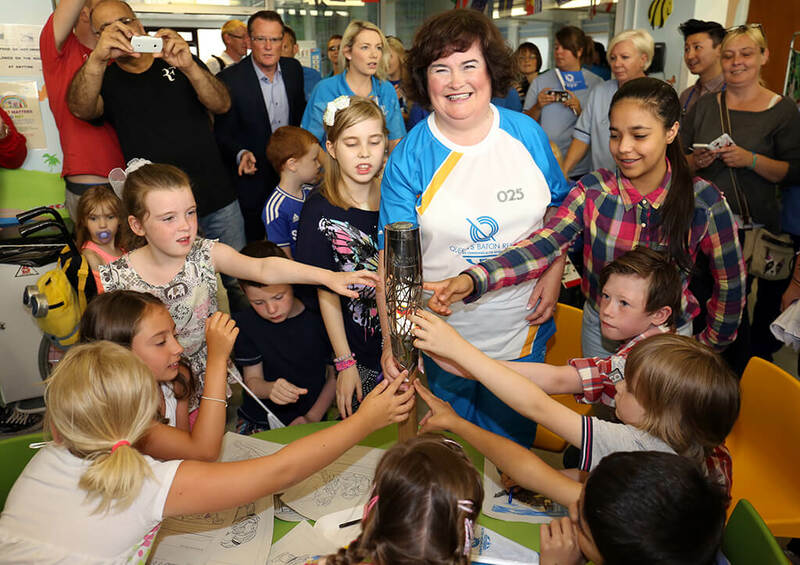 One thing fans love about Susan Boyle is that she’s a relatable, average person who was able to achieve extraordinary things. 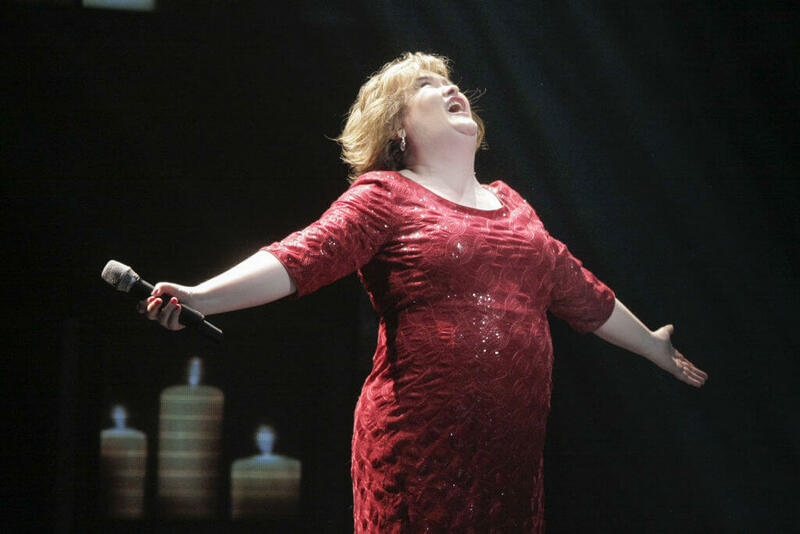 Leading up to her BGT performance, Boyle was struggling with the death of her mother, and being able to pay her bills. Even though she knows she has money in the bank, she doesn’t forget the hard times and reminds herself that she’ll be okay. Boyle is self-aware of her outbursts and says she’s “King Kong’s Mother” when she’s having an episode related to Asperger’s. She understands that it potentially makes her hard to work with, as a singer, but she hopes that people are willing to understand and communicate with her. Although it wasn’t until she was in her 50s that her career as an artist took off, Boyle has achieved a lot of success. In fewer than ten years, Boyle’s estimated net worth rocketed to $33 million. 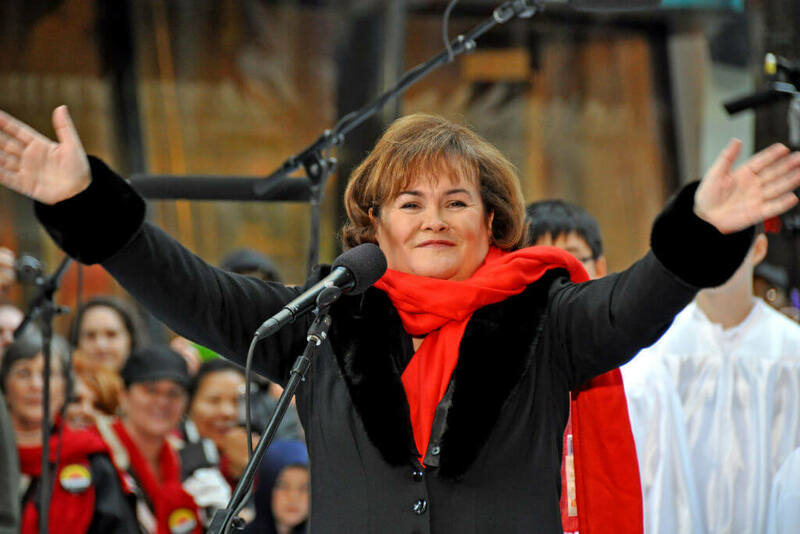 Her first album, I Dreamed A Dream debuted at No. 1 on the Billboard charts in 2009. Her hit single was included in a movie, and she even performed for the Pope. She was awarded three Guinness World records, including Fastest-selling Album by a Female (UK) and the Most Successful First Week UK Debut Album Sales. Typically, symptoms of Asperger’s Syndrome show up early in someone’s life, and today many people are diagnosed in the U.K. around the age of five. Boyle’s case was much different. The stigma of having “brain damage” and being bullied made for a tough childhood, on top of the untreated social anxieties she was already experiencing. When deciding what music to record, Boyle looks to cover songs that a wide range of people can relate to, and songs that will make them reminisce and be happy. Her 2010 album, The Gift, was the first Christmas album to top the UK chart. She’s also covered songs by one of her favorite artists of all time, Madonna. “I wanted to create an album that families could enjoy, something for everyone, an album that can be played all year and evoke memories,” Boyle said. 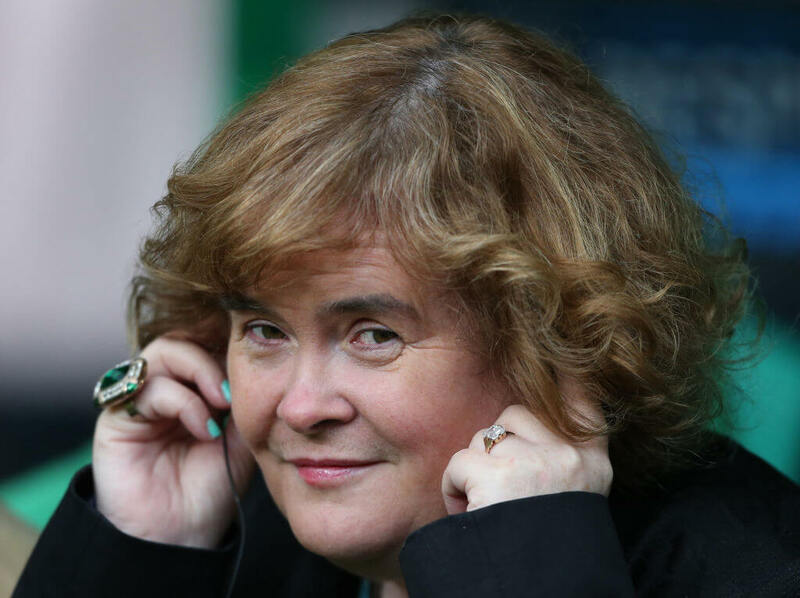 Luckily for fans of Susan Boyle, the UK artist is not planning on dropping the mic anytime soon. She told Daily Mail, “In my book, ‘retirement’ is a dirty word.” This also means that she needs to fight to stay relevant. BGT launched her career, but it’s up to her to keep the momentum going. 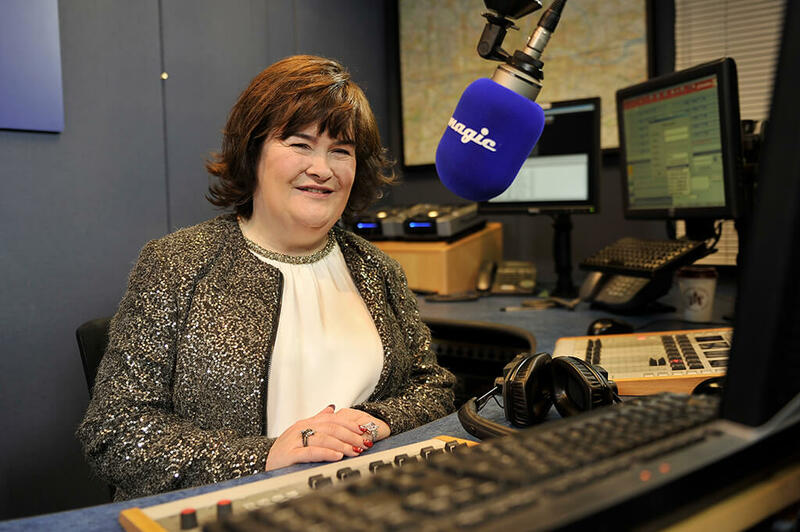 With all she’s achieved, it’s hard to believe that only 10 years ago Susan Boyle was living a quiet life, nearly unable to pay her bills. 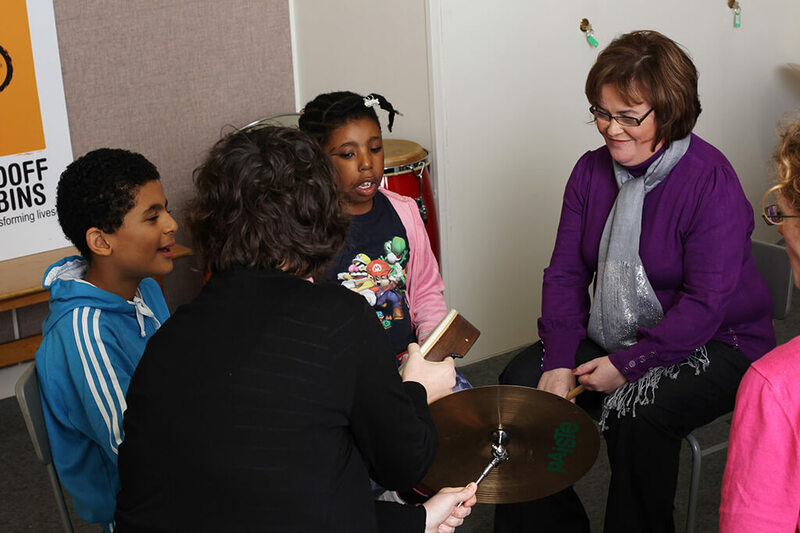 And Asperger’s aside, Boyle has grabbed the opportunities that have come her way and started her own music firms. Not only that, she holds the position of director for all three, personally overseeing the branding of her music and merchandising properties. Since she stepped up, her firms have seen tremendous growth, and have helped Boyle establish a sustainable source of income for her future and the future of her family. 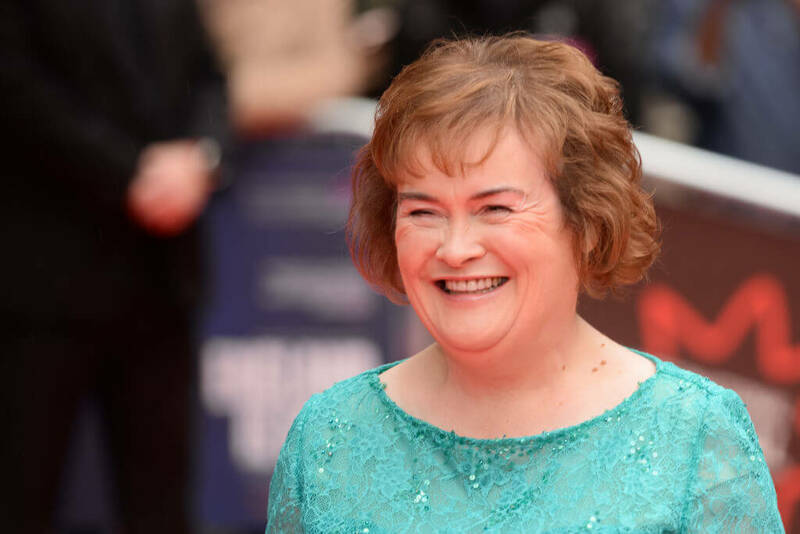 In September of 2018, Susan Boyle spoke to Express and opened up about her personal life and greatest fears. While it may have appeared that being poor was her greatest fear, it turned out to be something else. It turns out that the hit singer is afraid of being lonely, and living the rest of her life alone and unmarried. After admitting her greatest fear, she went on to describe her ideal partner; a combination of Donny Osmond, Simon Cowell, and Piers Morgan. 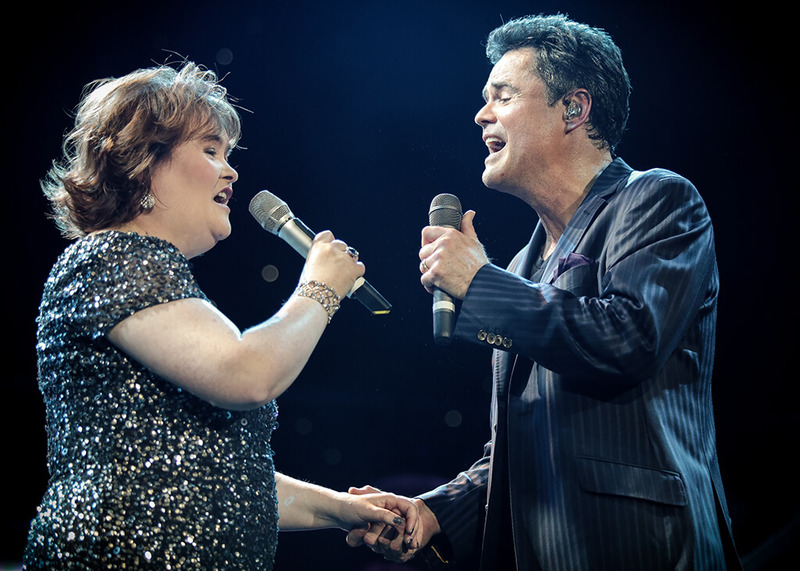 “My ideal man would have Donny’s voice, Simon’s good looks and Piers’ sense of humor.” She joked, “I would have married Piers, but someone else got there first.” She did get a kiss on the cheek from Piers and sang a duet with Donny Osmond! Amazing. Fans are eager to see Boyle perform on stage again, and soon they’ll have their chance to watch. 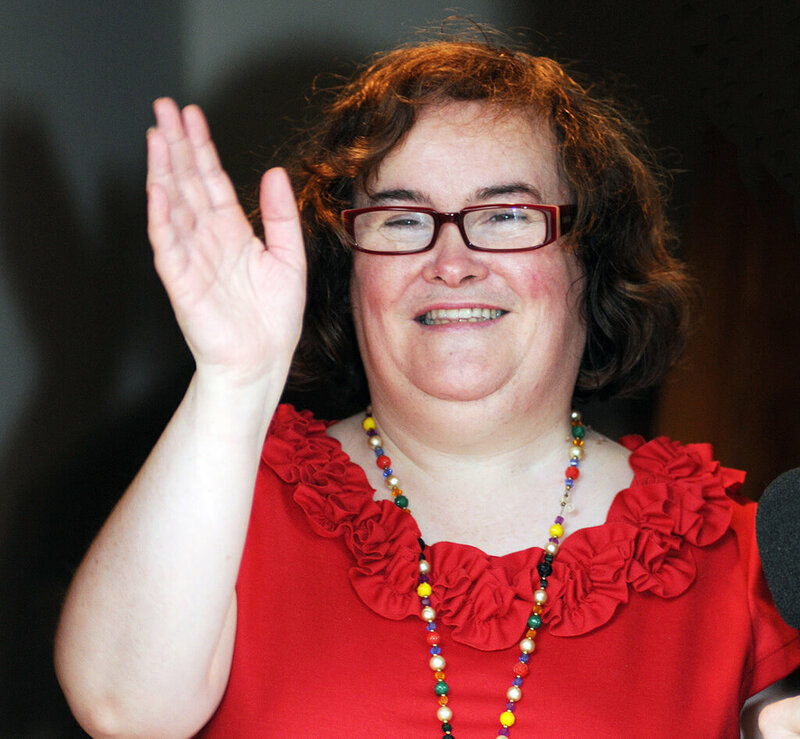 In September 2018 it was announced that Boyle would be joining an all-star cast version of America’s Got Talent. 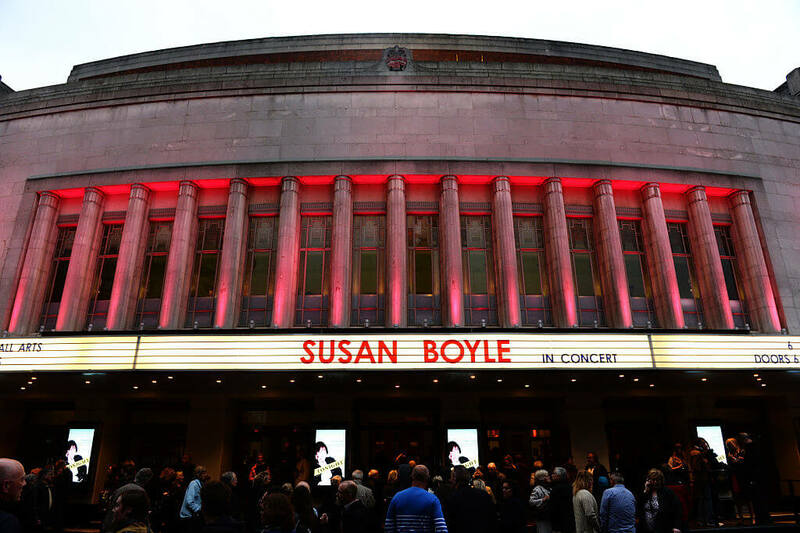 It’s been nine years since she had her breakthrough performance on Britain’s Got Talent, and Boyle is ready to impress music fans once again. 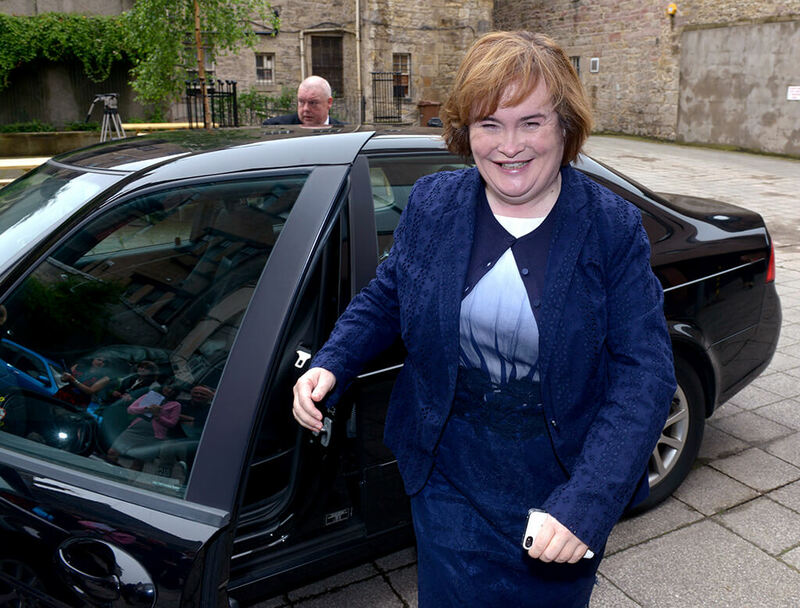 An insider told The Sun, “Simon was delighted Susan agreed to come back.” Boyle has proven once again that she has staying power in the entertainment industry. 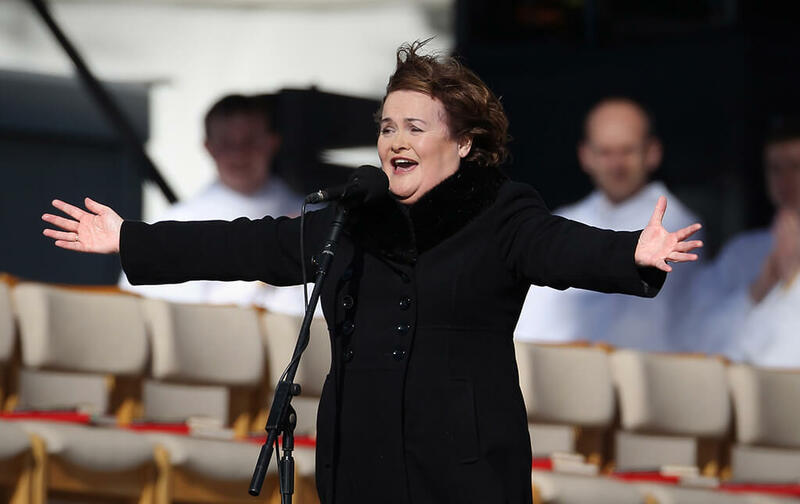 Susan Boyle has come a long way from the day she stepped on stage for Britain’s Got Talent to perform. At that moment, no one knew who the Scot was. She told the audience that she wanted to be like Elaine Paige, an English singer who’s best known for her performances in musicals. 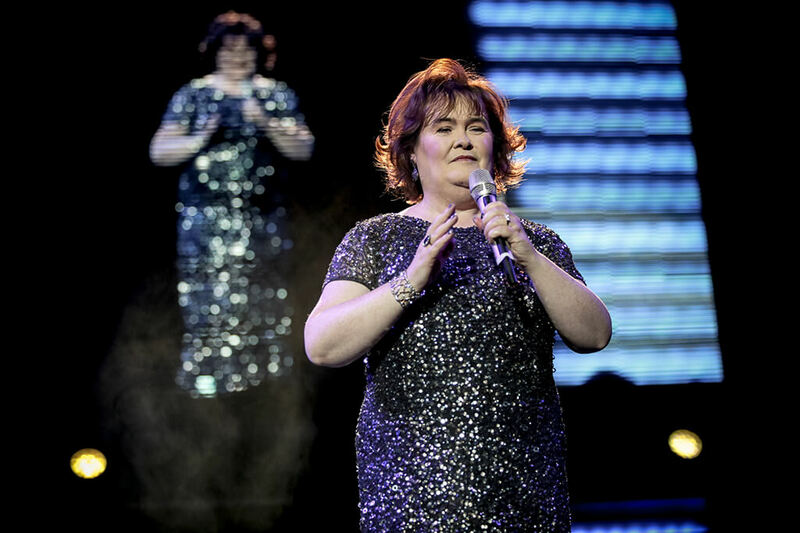 What’s interesting about Boyle’s story is that although she was the biggest success story of Britain’s Got Talent, she didn’t even win the title back in 2009 when she appeared. It was a dance troupe named Diversity who beat her out for the crown. Now that the series has announced they will run a competition pulling the top contestants of BGT and America’s Got Talent together for a cream-of-the-crop battle, Boyle has another shot at winning the title. 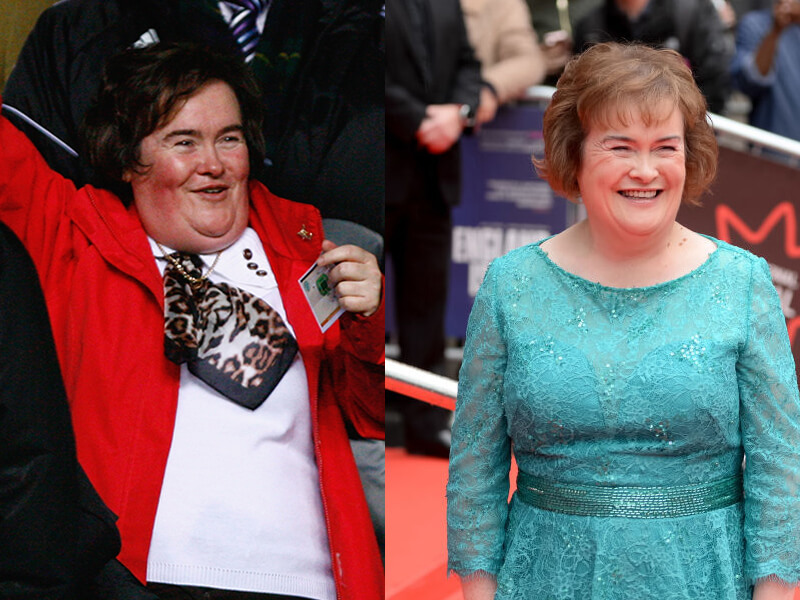 Now 57 years old, Boyle has stayed out of the limelight in recent years. In fact, it’s been five years since she’s touched her Instagram account. 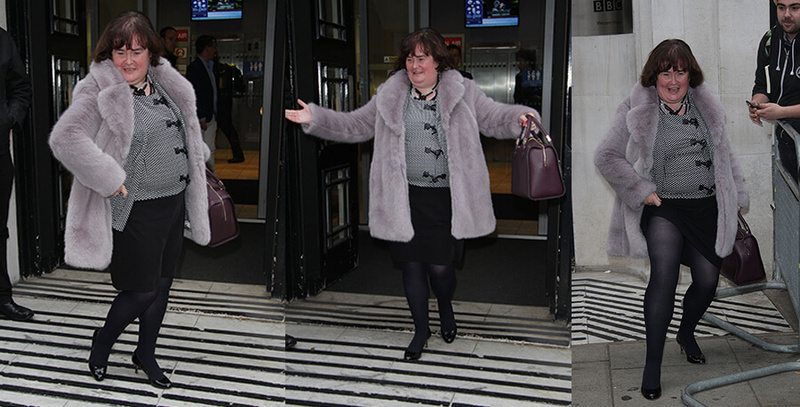 Susan’s fans were elated when she jumped back on social media to announce that she was making a comeback. And “Sooo glad to hear that there’s more to come in the near future from this amazing lady with the angelic voice.” Susan’s Instagram followed up with another post thanking her fans for the loving notes and support. What About Her Crush On Piers Morgan? 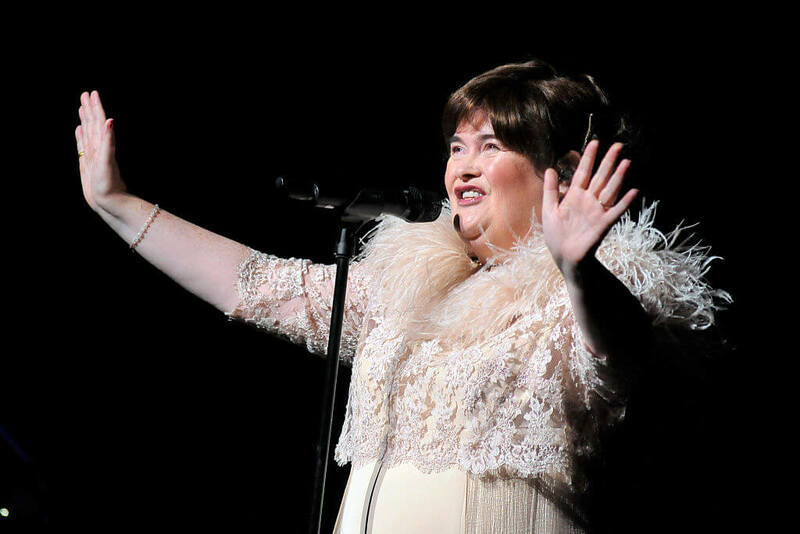 Boyle’s magnetic and unique personality has entertained viewers from the moment that she took the stage on BGT. Her candid interviews never fail to make fans laugh. She was quick to admit that she had a crush on one of the BGT judges, Piers Morgan. So Where Has Susan Been? 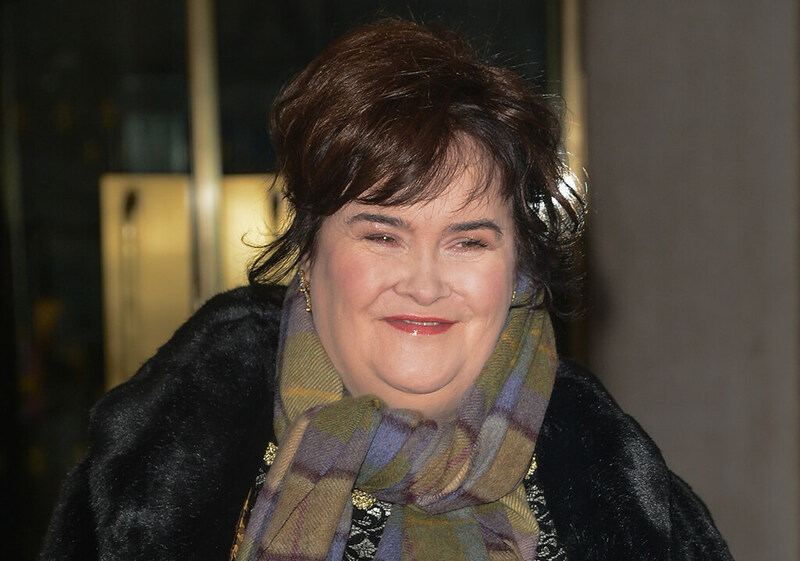 In an interview with The Sun, Susan Boyle responded to why fans haven’t heard from her in a while. “Well, I’ve been out of the spotlight for a while, but that was my decision.” She’s been doing performances around Scotland while taking a break from international tours and mainstream media. It’s unusual to hear a 57-year-old woman say that she took the last couple of years off to ‘grow up,’ but that’s exactly what Boyle said she needed to do. Her life took an extraordinary turn after 2009. At the same time she skyrocketed to international adoration and fame, she received a long-awaited diagnosis of Asperger’s. For Boyle, her life was almost just beginning. Sounding confident after years of silence, it seems that Boyle is ready and prepared to take the stage. It’s amazing to see her transformation over the years, both personally and professionally. See what she has to say about singing in front of Simon again! 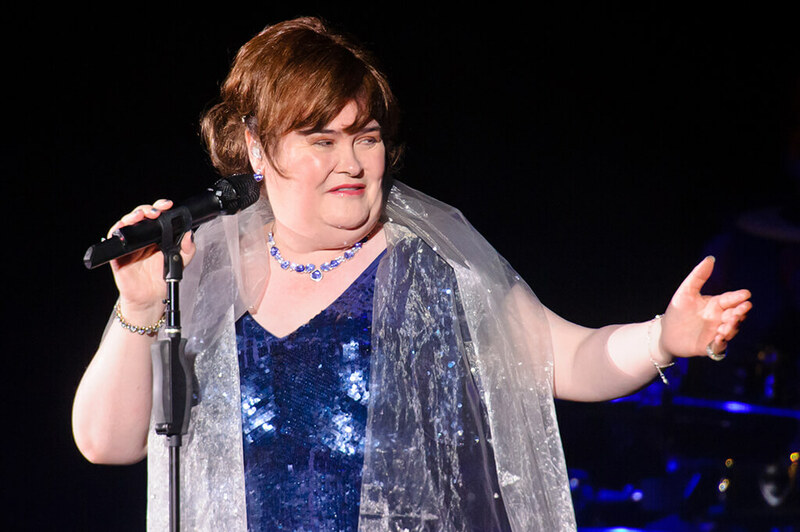 While all three judges had low expectations based on first appearances, as Susan Boyle took the stage for the first time on Britain’s Got Talent, she stood her ground and absolutely floored them with her performance. She didn’t win the crown of Britain’s Got Talent in 2009, but she won over hearts around the world with her voice and personality. Many people might not know, however, that it wasn’t the first singing competition that Boyle entered. After her mother passed, she began competing around Scotland, but she never won. 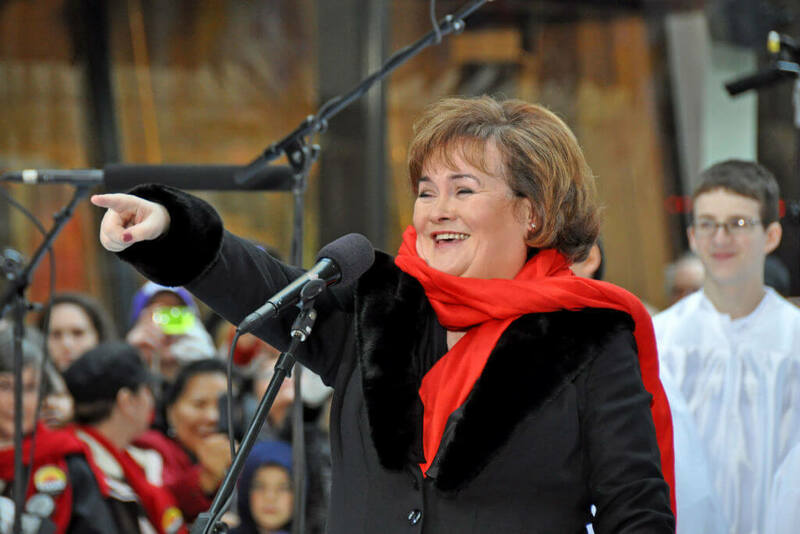 Susan Boyle’s voice is far more powerful than for singing alone. As an accomplished female artist in the UK and around the world, Boyle has proven that living with Asperger’s doesn’t have to be a death sentence. Although she battles anxiety and mood swings, she acknowledges how she’s feeling and chooses the best way to cope. “If I feel like I’m going to take a mood swing, I get up and leave. I’ve learnt that the hard way.” She says she feels her best when she’s performing. “Off stage, it happens lots. It always has. On stage, I’m a different person. I feel accepted,” she told The Telegraph. One person is said to cause her anxiety at the worst moments. Although Susan and her older brother Gerry have squashed their feud after two years of not speaking, it appears that his manipulative behavior continues. 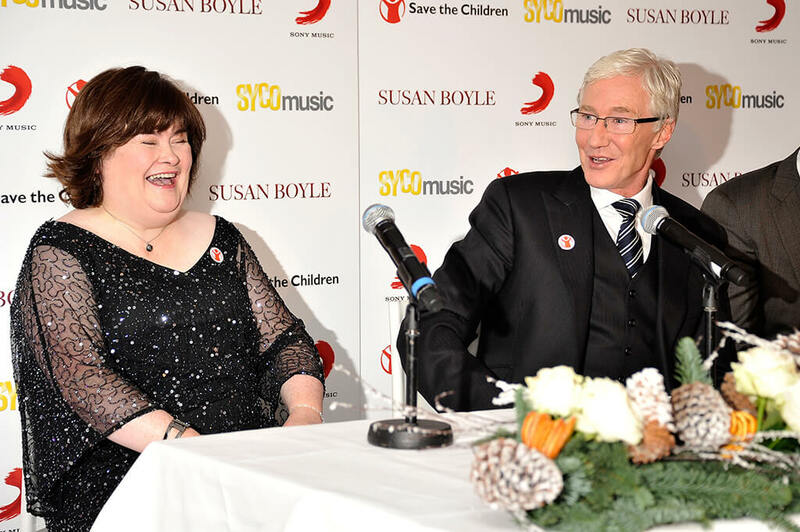 Susan’s nephew, Alan Boyle, revealed to Express that Gerry purposefully upsets his sister at the worst moments to get the money he wants. 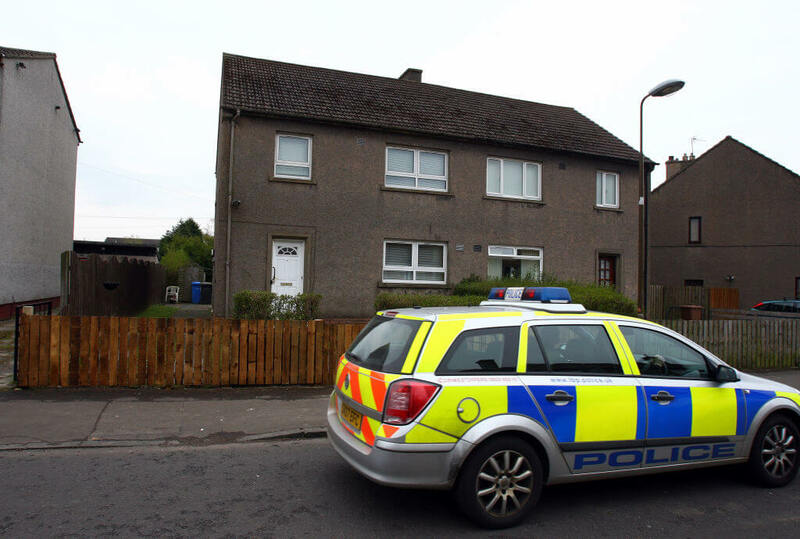 Both Boyle’s nephew Alan, as well as her older sister Bridie McCaw have spoken out about the family drama involving Gerry. Some thought it was odd, as Boyle likes to keep a low profile when she isn’t on stage, but her family members insist they need to clear the air. So what exactly is her nephew and sister trying to protect Boyle from? As it turns out, her older brother Gerry has continued to make yet more threats that he will commit suicide if the singer doesn’t give him even more money. While her brother is going after her money, Susan maintains a humble lifestyle. Her greedy older brother may be after her fortune, but Boyle herself prefers to maintain a simple life. She knows what it’s like running out of money at the end of the month and worrying if she’ll get by. Nine years later, she hasn’t forgotten. Boyle purchased what she calls “The Posh House” on the other side of her hometown. It boasts five bedrooms and cost £300,000. She only lived there a short time, before she realized that it wasn’t for her. Boyle moved back to her family’s home and allowed her niece to move into the estate. She soon found out she wasn’t entirely safe at her home, though. As Boyle’s nephew stated, Susan is a very generous and kind-hearted person. In January 2010 she made a trip to London to help record the Helping Haiti single. She, along with other high profile artists covered “Everybody Hurts” to benefit the rebuild of Haiti after a destructive 7.0 Mw earthquake struck. In fact, it seems Boyle isn’t so safe in her hometown. 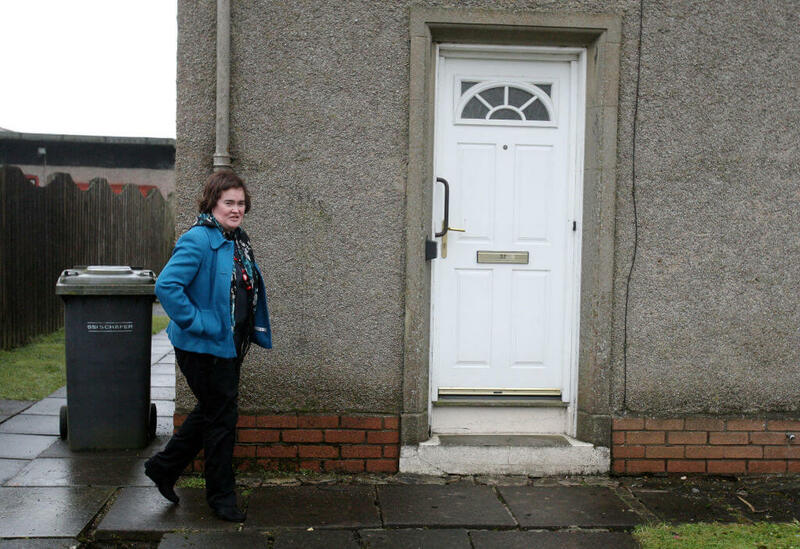 While many residents of Blackburn, West Lothian, Scotland are proud to have the star living in their town, there’s a gang of local teens who have been harassing her in Susan’s own neighborhood. It was initially mentioned in the news, but appears worse than initially reported. The local teens follow Boyle down her neighborhood streets, throwing rocks and pieces of paper on fire while shouting insults at her. The gang has grown to 10-15 kids and she has called the police on them, in fear of her safety. Boyle doesn’t want to live a life of luxury and excess. And she doesn’t want to give hand-outs to her relatives so that they can drive fancy cars and wear fur coats either. But she has lots of love for them, and says she’s always willing to help her siblings, nephews, and nieces in a time of need. “I can’t buy them a Lamborghini or a Ferrari or a penthouse, But I’d never see them stuck for money,” Boyle told Daily Mail. See how she’s helped them out, next. Just like any other family, sometimes family members go through hard times and require a helping hand. While Boyle doesn’t want to spoil her nieces and nephews, and enable them to live a lazy lifestyle, she is empathetic when they could use a place to stay or pay off their finances. She gifted her nephew £30,000 for a fashion business venture and paid off her niece’s credit card debt. Boyle has also paid the mortgage on her family’s homes many times, and helps with their car payments. 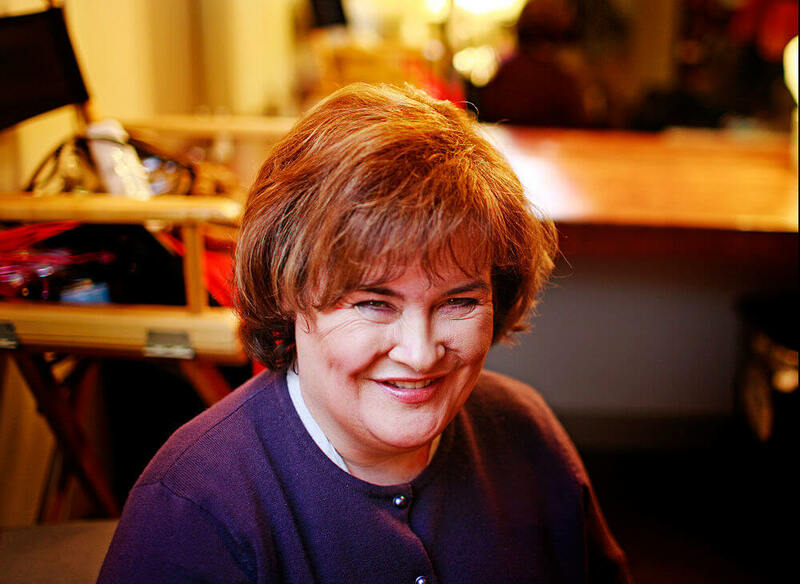 Susan Boyle’s story is nothing short of amazing. She’s a gifted and kind person who overcame many challenges for the majority of her life. After her beloved mother passed away in 2007, she decided she needed to go after her dreams.